Angie Williams and Kristina Holt are the first friendly voices you hear when you call our offices. 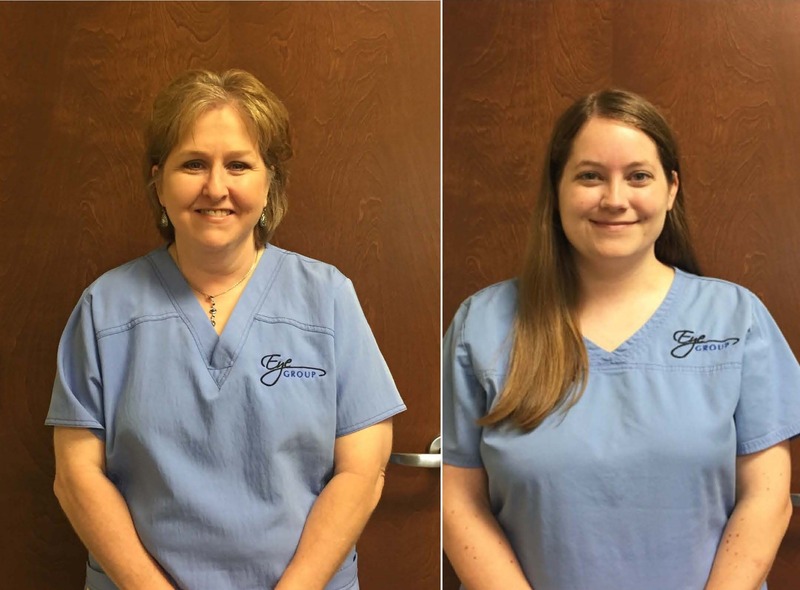 Whether you are scheduling an exam, confirming an appointment, following up after a procedure, or calling about an emergency, Angie and Kristina are there to provide the compassionate and comprehensive service you are used to from Eye Group! Kristina also serves as a Technician in our office and helps patients prepare for their exams. Both Angie and Kristina said one of their favorite things about working at Eye Group is the opportunity to work with knowledgeable doctors and the top-notch service they provide for their patients. They also said they love working with the team that has been assembled in our office. When Angie isn’t helping people get a new look at life, she enjoys spending time with her husband and two children and participating in all their children’s activities. They also enjoy being actively involved in their local church. When Kristina isn’t helping people get a new look at life, she is dedicated to spending time with her family. They enjoy camping, boating, and traveling. Kristina and her husband are also volunteers at the local fire department. Finally, Kristina loves investing in their 2-year-old daughter, Carrie, who is the light of her life! Come by and say hello to Angie and Kristina or any of our amazing team at Eye Group today! We’d love to meet you too and help you get a new look at life!